Oregon Department of Revenue employee Theodore Raymond Paulsen has been arrested and charged with Official Misconduct, two counts of Mail Theft, 1st Degree Theft, and Unlawful Possession Of Methamphetamine. 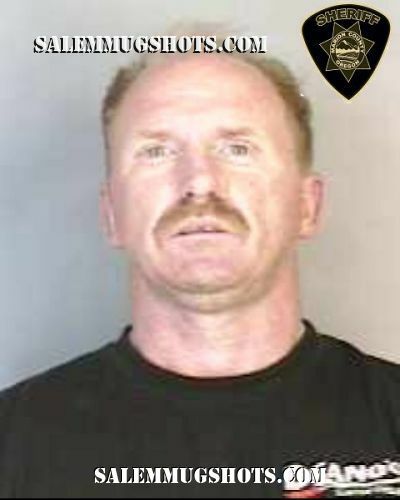 Paulsen was caught allegedly forging money orders from a Klamath Falls marijuana shop, and cashing them for himself. Even though weed has been legalized in Oregon, the stores are still legally barred from getting official bank accounts, so they have to use money orders to pay their taxes and other official business. The Oregon Department of Revenue sent Medina a letter demanding payment. Thanks to Medina’s book keeping records, Salem Police were able to get a major break in the case. Medina says Salem Police told him it appears there may have been other victims. Bob Estabrook of the Oregon Department of Revenue has confirmed that an employee was arrested Tuesday. Though, at first, it appeared as though law enforcement agencies weren’t very interested in the case. After The Salem Police told him that they could do nothing without a Klamath Falls Police report being filed, he convinced the Klamath Falls PD to file a report. Eventually they started to investigate, but Medina felt they were less than helpful about the theft. He finally mailed all the documentation he had, including the mail receipt with Paulsen’s signature, and the money order documentation showing the deposits. Once they did finally investigate, they quickly moved to make the arrest within a few weeks.